Sonos launches Play:3 bundle deal | What Hi-Fi? Sonos has announced a new bundle deal involving its entry-level Play:3 wireless speaker. The bundle delivers everything you need to get started with Sonos. Spend £259 on a Sonos Play:3 and you'll get a free Sonos Bridge (worth £39) and a free six-month subscription to streaming service Napster (worth £60). Essentially that's all you need to get up and running: the Sonos Bridge can connect to your wireless router, the Play:3 can start streaming music via Napster – or Rdio, Spotify, TuneIn Radio and more – or your own music from a NAS device. Sonos is calling the promotion 'The Ultimate Gift of Music', and the launch of this bundle deal will coincide with a massive new marketing campaign including the company's first-ever TV advertising. 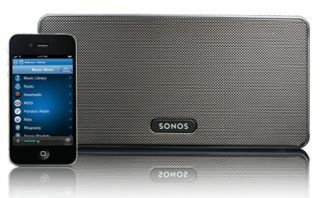 The deal runs from October 16th to December 31st and you can read all about the deal on the Sonos website.